Tina B. Ladson, Midwest woman. Lover of art, color, travel, food, and wine! My sister taught me (or rather made me commit to memory) the hues of the rainbow when I was about four years old. Red, orange, yellow, green, blue, and purple. I would look for the rainbow assortment in everything. Candy, clothing, barrettes, socks, you name it, and would find such joy if in fact the rainbow was there. I can’t remember a time in my life I was not completely hooked and infatuated with color. My sock drawer as a kid was in rainbow order. My Barbie high-heel shoe collection was never complete because I couldn’t find yellow heels to save my life! My closet today is organized by hue and garment type. I don’t feel settled at my work desk unless I have every hue available of ink pen, gel pen, highlighter, AND felt-tip pen to choose from. Colorful file folders, push pins, paper clips, and dry-erase markers punctuate my desk. You will find the latest seasonal Pantones swatches posted on my wall in my office. Color is a real passion for me both personally and professionally. I was lucky. I went to art school, majored in graphic design, and got to delve even deeper into color and all its mysteries. Primaries, secondaries, tertiaries, tints, tones, and shades shaped my world as I navigated school and found my voice as an artist, designer, and storyteller. When I entered the work force and landed my first job using my degree, I found myself in the world of marketing and learned how not only color, but its texture, depth, perception, and even personal association influenced the behaviors of consumers. I went on to art direct product photo shoots, develop packaging design, and design retail store signage and collateral. Learning about how lighting, substrate, and print process, all effect color and its integrity opened up a new world for me. Using Pantone books, designer color palette recommendations, and my impeccably trained eye, I helped to develop packaging for Target, Home Depot, and various private-label brands. I conceptualized and created a number of color-savvy brand identity portfolios for small businesses and individual consulting clients. Primaries, secondaries, tertiaries, tints, tones, and shades shaped my world as I navigated school and found my voice as an artist, designer, and storyteller. I found myself after a while a bit burned out and creatively uninspired. I decided to go back to school and possibly start a new career trajectory. I majored in Psych thinking this would be the furthest thing from my background of color and design and may give me a chance to develop a new skill-set in a new arena. I evened considered a master’s degree in Public Health. Balancing work and school was no was easy feat and I constantly looked for things that may inspire a new career trajectory. Along the way in my studies, I took an advanced Psychology of Human Senses course and there it was – a beautiful scientific way of understanding how we as humans process our sense of sight, sound, taste, smell, and touch. And color played this amazing role in how we process what we see, how we see it, and although nuanced, how we felt when we see it. This opened up the incredible world of sensory marketing to me; known as embodied cognition in the research field. How we experience any given moment or event is processed heavily by the senses and color has tremendous influence. 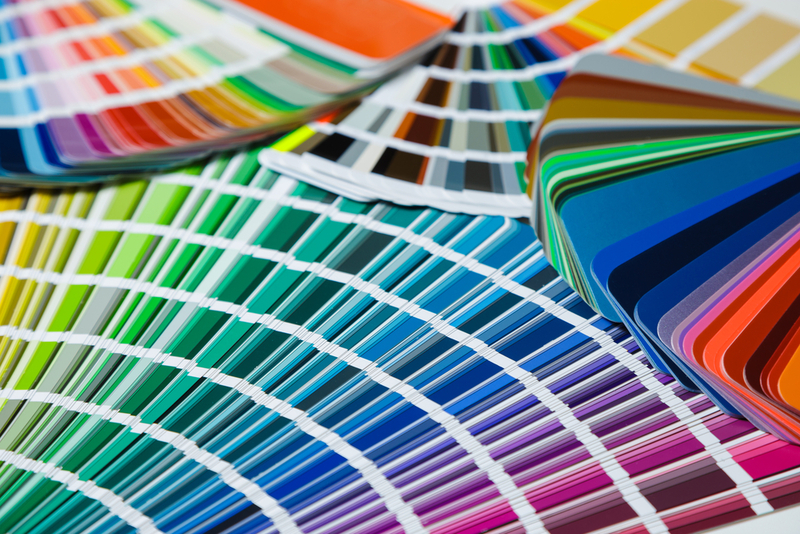 Color has the ability to bring awareness, emotion, and even different energies to our environment. And color played this amazing role in how we process what we see, how we see it, and although nuanced, how we felt when we see it. Now as an MBA student at Georgia State University, I look forward to finding ways to continue to innovate and leverage new technologies in sensory marketing. As I search for career choices that I am passionate about and that motivate me, I am finding that color, sensory marketing, and human behavior (Yes, Psychology can be used for something after all) will always be a part of that picture. So whether I am providing creative direction to Coca-Cola’s design team, teaching and training on branding at Georgia State University, or leading Delta’s sensory experience innovation team, it will be fueled by my passion for color, creativity, and the art of understanding people. And no matter where I land, I will always be looking for the rainbow. Midwest woman, middle child of 5. Married to a fellow libra. Obesessed with color, home decor, and anything metallic. Writing makes me calm and think clearly. My dream would be to develop and create my own line of home decor and accessories, write contemporary fiction set in my hometown and create design/color inspiration novelty books. Oh, and travel the world.